The competitive nature of a player is what defines them. It’s that will to win and to be their very best. Some players run from competition, some players look for a easy path, when things are not going as planned. But then there are players who want to prove they belong. They also want to prove they are among the best. 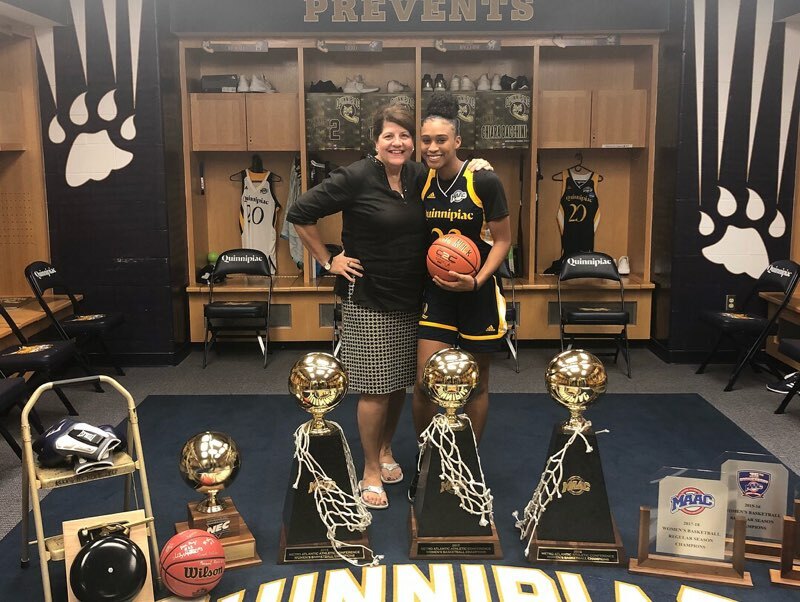 It’s why SAJADA BONNER yesterday gave nationally ranked QUINNIPIAC UNIVERSITY A VERBAL COMMITMENT. Quinnipiac University and SAJADA “ja-money” BONNER have a lot in common. Both are big timers and few know about them. Quinnipiac last season advanced to the Sweet 16. It was not their first time at the rodeo. They have been ruining so called nation powers dreams for years. NOBODY with a big name wants to see TRICIA FABBRI on the other sideline for good reason. The women has over 400 wins, been to back to back SWEET 16’s and has made the MACC Conference her personal playground..she has 3 undefeated seasons under her belt. The pass 7 seasons she has turned Quinnipiac into a NATIONAL POWER…Yet few know or appreciate her off the charts achievements. When I hear a mid major type player say..”I’m interested in Quinnipiac” I get my belly laugh on…folks Quinnipiac is a lot of things but being a mid major is not one of those things…they are a BEAST and the woman who created this beast is Coach FABBRI and it’s her job to feed the beast …yesterday the BEAST HAD A FEAST! JA MONEY as I call her, could be the most competitive basketball player maybe in the state. She is clearly on the short list. It’s also the reason she is at SJV, because SJV is the most competitive program in NEW JERSEY and there is zero debate regarding this. They play the best and nothing is given or promised. They do things the ole fashion way…YOU MUST EARN IT. Jada Bonner has earned it, as a freshman she played JV. Then as a sophomore she was a role player. Now if you know anything about Ja-Money, she doesn’t take a back seat to anyone. In a time when players transfer, complain and make themselves a nuisance when things don’t go there way. Jada Bonner stayed right at SJV because she runs for nothing and nobody. Jada Bonner wanted everyone to know she was one of the best and wanted to play with and against the best. It’s why she had so many schools that wanted her signature . It’s also why she decided on QUINNIPIAC UNIVERSITY. She wanted to do, what she has always liked doing…playing with the best and beating the best. 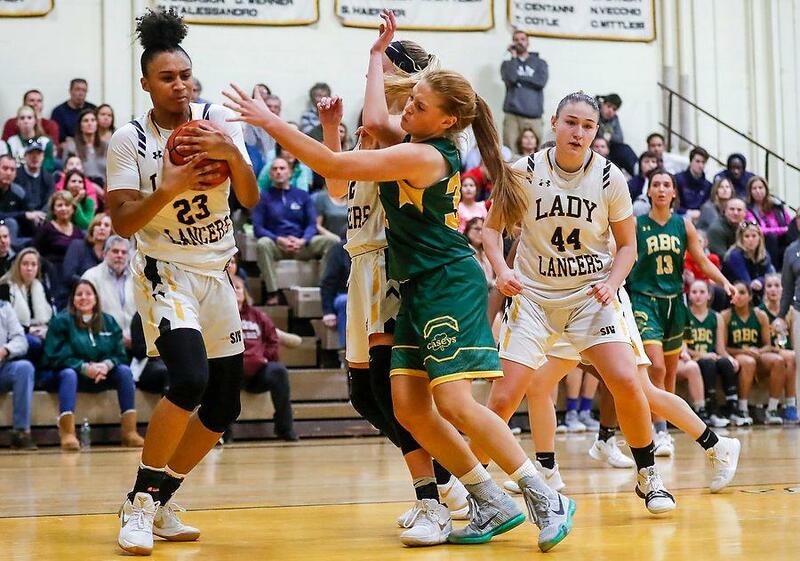 Jada Bonner is one of the best players in all of NEW JERSEY and just like Quinnipiac, few know this…there both BIG TIMERS. 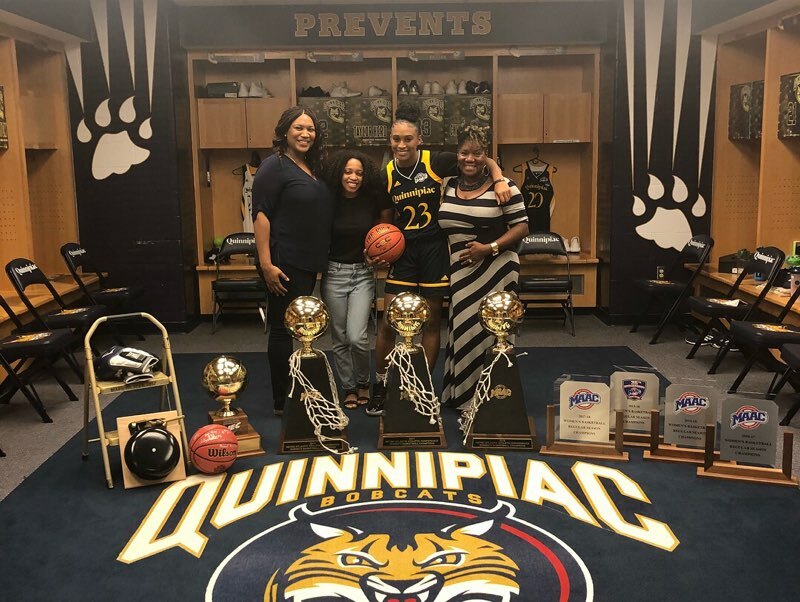 So how did Quinnipiac get Jada Bonner? The same way they built there program, by being persistent. It was Jada Bonner who would not return their calls, she was focusing on the offers from P5 schools. She was entertaining the so called name schools. When former Quinnipiac assistant and current Lasalle Head Coach Mountain MacGillivray told me Ja -Money was not returning Quinnipiac calls, I said that I would pass it along. When I saw Jada Bonner at the NBS camp and asked her why, she said “no worries I will and I will be visiting with my mom” it was strange but something in her voice told me, Quinnipiac was in better shape than they knew. You see Jada Bonner is not one to give up information too quick. She is smart and is somebody that thinks things through. She just makes her moves smartly and deadly like the way she does on the court. 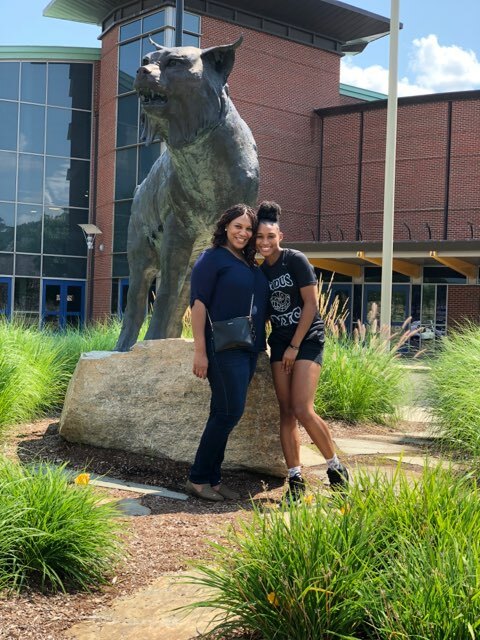 In this case it was her deadliest move of all… she not just called Quinnipiac and visited Quinnipiac…..she is now a BOBCAT. Here is what Quinnipiac is getting. The toughest hombre in the Shore Conference. Jada Bonner folks takes no prisoners and plays all out from the moment the ball is tossed up. She is like a Mack truck getting to the rim and more importantly an elite finisher . She is the best offensive rebounder you will set eyes on this year. Now throw in the sweet jumper from behind the arc and you have the True definition of a stone cold killer. 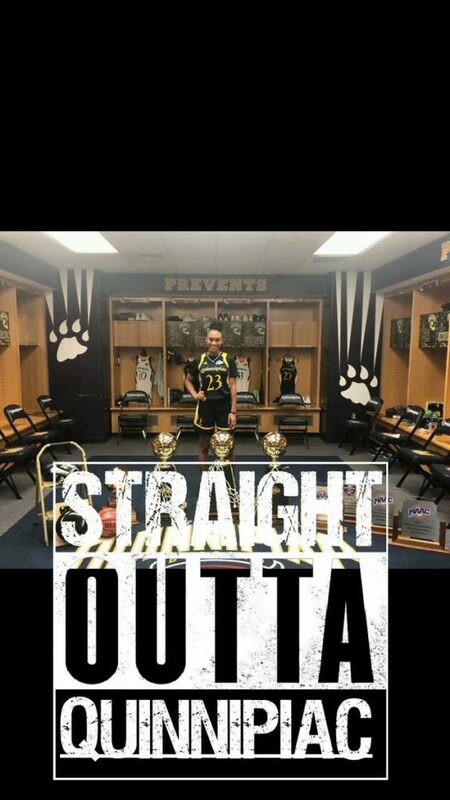 Now throw in the elite trapping ability, the next level toughness and ability to turn the lights out on guards and forwards…and you have another SJV superstar at the next level. Jada Bonner will join a long list of SJV players in college that become stars…it’s just what DAWN KARPELL’S kids do. But what will make Jada Bonner different from the rest is that she’ll be doing it; in the big spotlight. It’s what Jada Bonner likes and it fuels her energy to take her game to another level. 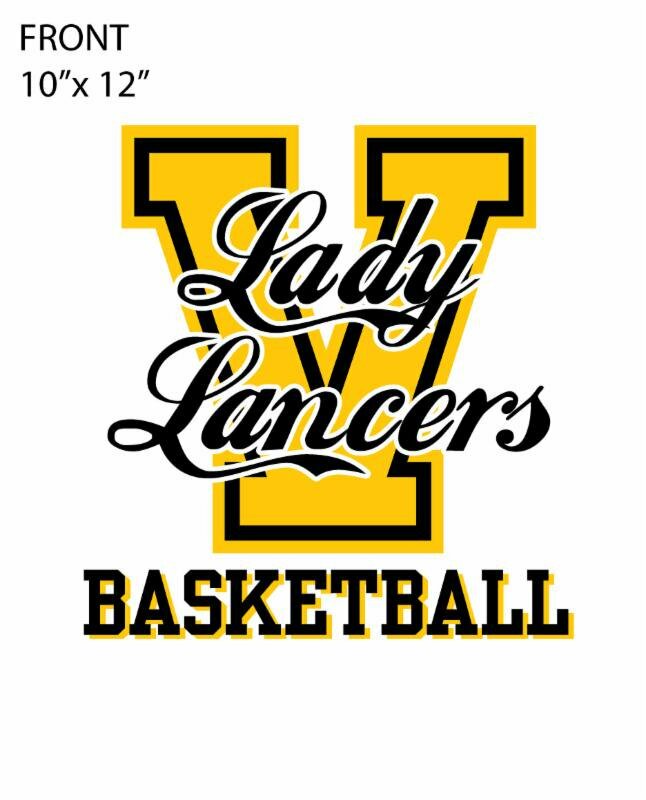 She has been remarkably efficient during her time at SJV, especially in showcase type games. It could be her exploding for 31 points vs RFH in a sold out gym. It could be her dropping 20 and 10 on CHRIST THE KING. Maybe 18 on Luhi or stuffing the box score vs Manasquan with 15 points, 4 dimes and 6 rebounds and a boat load of steals. You see Jada Bonner loves the spotlight, it’s one of the reasons she played AAU for Exodus. She wanted to compete against the best and it’s why… she is now a BOBCAT. What people don’t know about Jada Bonner, is she has had to work hard and overcome so much in her young life. She and her mother Tina have been a team. They didn’t have the comforts that so many others do. They’ve had to work hard and go without at times. But they asked for nothing except for a fair opportunity along the way. The two have achieved everything together by being together. Jada is very loyal and sometimes to a fault. She is fun to be around and always willing to help others. I loved it this year at NBS CAMP, how she and Destiny Adams bonded. You could tell they really enjoyed each other’s company. I believe it was why she choose to join Destiny Adams and the Warriors for the 2nd part of the live recruiting period. But the thing I’m most proud of regarding JA MONEY, is this. I was disappointed, she being one of the senior leaders of SJV was going to skip Best of Maryland. But then she changed her mind. She wanted to show that she was a leader. She wanted to give something back to her teammates. She already had enough scholarship offers. 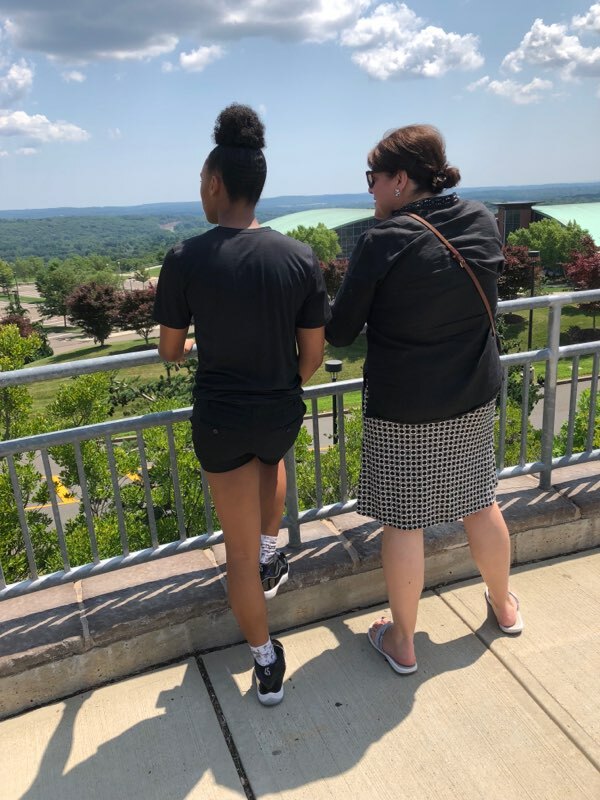 Now it was about SJV, DAWN KARPELL AND HER TEAM…SAJADA BONNER has grown up in a big way. She picked a school, not a name. She picked a school where she didn’t have to take one step back academically…QUINNIPIAC is one of the best schools in these UNITED STATES and that’s a fact. She also got her wish of playing big time basketball..All that’s left now is for me to add another hat to my collection…except this one is from a Nationally Ranked PROGRAM…..CONGRATS JADA, YOU DESERVE THE BEST…..YOU EARNED IT…. 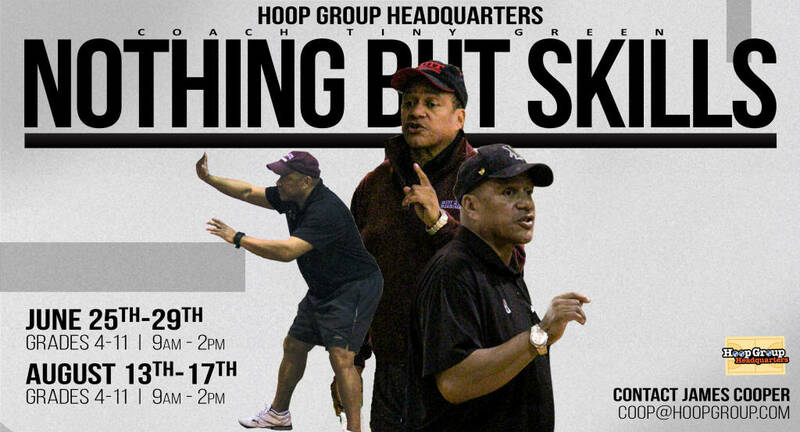 NBS CAMP STARTS NEXT MONDAY….